Are you looking into getting a marketing degree but don’t have the time to devote to a traditional on-campus study program? Pursuing a degree online allows you to expand your career options on your own schedule and opens up new opportunities in the rapidly growing marketing industry. Colleges around the U.S. and across the globe are continuing to increase the number of courses and full degree programs they offer online. When you choose to earn a marketing degree through one of these programs, you benefit from the unique characteristics of online learning and can achieve your educational goals without the need to make drastic changes to your lifestyle to accommodate the coursework or afford the tuition. Although most online programs require the same investment per credit hour as traditional programs, you can save a great deal if you choose to earn your degree by taking courses online. Attending an out-of-state school requires an investment in housing, meals, and the fees associated with campus life. Local schools are less expensive, but you still have to pay for the gas used when driving back and forth to attend classes. As you research the prices of online marketing degrees, compare similar programs for the most accurate assessment. Private institutions usually cost more than public schools, and some programs may have fees on top of tuition prices to help cover the cost of the online infrastructure. However, you should also consider how much you’ll save on supplies like printer paper and ink by submitting assignments online and on textbooks if materials are delivered in digital formats. Since you don’t have to travel to or spend time on campus to complete coursework, you can continue with your current job as you work on your marketing degree. The ability to stick to a regular work schedule while attending college online allows you to maintain a steady stream of income to cover expenses.1 You’ll have to meet deadlines for assignments and projects, but where and when you spend time on your studies is largely up to you. By giving you the freedom to choose the location and time of day to work on your studies, an online marketing degree program can be tailored to your schedule and learning style. If you need absolute quiet, you can work in the early morning or at night when the family is asleep. If you prefer to listen to music or sit in a bustling coffee shop while doing homework, you’re free to do so. You can even get in some learning time on your lunch break at work if you have a place to go where you can concentrate. Another personal aspect of learning is the time of day at which you feel most alert and focused. A morning person might not mind popping out of bed at an early hour to zip off to campus for a traditional class, but if you function best after dinner, a schedule requiring you to sit in a classroom at a time when you usually roll over for 10 extra minutes of sleep isn’t the best way for you to pursue a degree. Online programs can be accessed at any time, and as long as you make the deadlines for assignments set by your instructors, you’re free to study whenever you have an open window of time in your schedule. 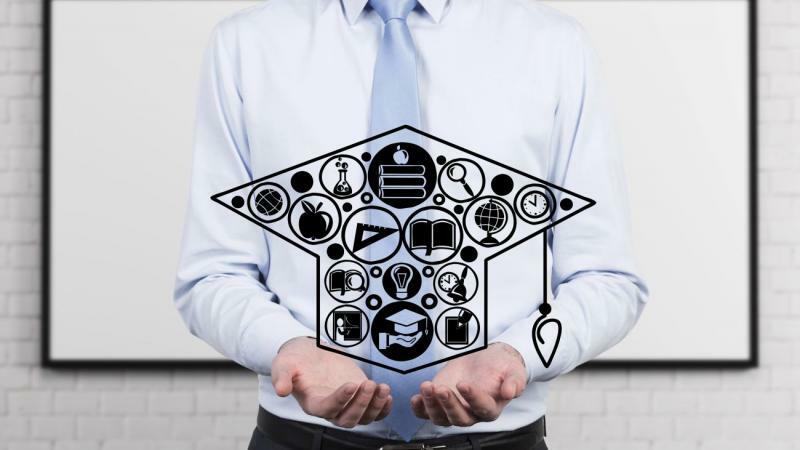 Online degree programs have different requirements for the number of classes you need to take per semester, and some may put limitations on the way you build your schedule. However, online learning is more flexible overall than pursuing a degree program in a traditional campus setting. If you meet the prerequisites for the courses and are able to turn in all assignments on time, you can pursue a schedule built around your work and family obligations. As you study, you’ll enjoy the flexibility of collaborating with others in the same program through a shared online learning platform. You can work on projects together without the need to meet in person and share diverse ideas in real time or through ongoing discussions on class forums. Depending on whether you earn a bachelor’s degree or a master’s degree, you can make between $67,400 and $72,300 as a marketing manager and $89,900 to $102,200 as a marketing director, or you may earn $82,000 or more working in sales.5 Growth in the industry is likely to open up more job opportunities, and advances in the field could create new positions for graduates interested in leveraging emerging technologies to revolutionize the current approach to marketing. Many colleges offer marketing degree programs online for students at all levels. Whether you want to earn a bachelor’s degree or go for your master’s degree in marketing, look for a program with a course structure and schedule you can handle. Consider your current needs and future goals as you browse the available offerings. Get in touch with academic advisors at the schools with the best programs and request additional information to help you make the right decision. Keep your desired career in mind as you compare programs. The specialties of and classes available from different schools may affect your chances of landing the job you want. If possible, find a school with a proven track record of getting students into your chosen field of the marketing industry. Make sure you understand the application requirements, overall costs, and course prerequisites before starting the program. Once you find the right marketing degree program, put your all into the coursework to get the most out of it. Take advantage of the ability to choose when and where you study and develop a routine to support success throughout the program.